This Place of Worship was founded in 1847, and we understand it is still open. A Catholic Chapel at Bamford is recorded in Derbyshire Record Office's Non-Conformist Register Guide as opened in 1847, served from Derby RC Chapel, and closed in 1861. No records are listed; and neither was it included in returns to the Religious Census of 1851. The next recorded mention of a Catholic Chapel in Bamford is in Kelly's Directories from 1891 onwards. 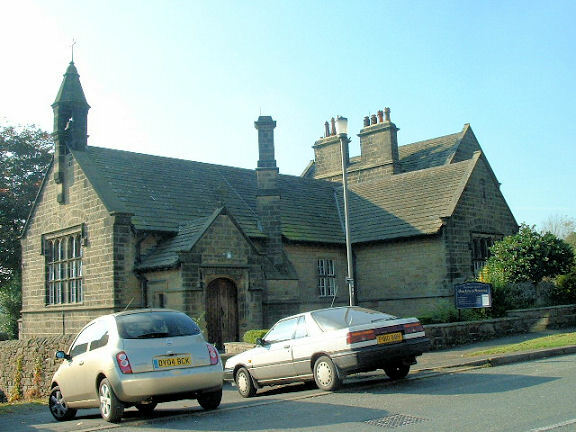 Their 1912 entry for Bamford records that "here is a Catholic chapel, dedicated to Our Lady of Sorrows, seating 150 persons, and with school attached, built in 1882 by the Duke of Norfolk K.G. ; the chapel is served from Derwent". To provide for the closing of the Roman Catholic Cemetery in the aforesaid parish of Bamford, and to empower the Corporation to remove the bodies interred therein, and in any other burial ground taken or interfered with under the powers of the intended Act, and to make provision for the reburial of the bodies so removed. Only 2 of the 8 reservoirs planned originally were built before the 1st World War intervened, and when it was over, a new scheme was decided on, such that only one more dam was built. Thus the "Bamford" dam, which would have been created by damming the river upstream of Bamford Mills was never realised, and the burial ground was saved. The DRO's list also mentions Derwent - where a St Henry's Catholic Church opened in 1847, and closed in 1947. Their information is that it was served by Bamford Catholic Chapel, but this cannot be correct, as it predates the Bamford Chapel. Now or formerly Roman Catholic. Our Lady of Sorrows, Bamford shown on a Google Map. Places of Worship in Bamford shown on a Google Map. I have found many websites of use whilst compiling the information for this database. Here are some which deserve mention as being of special interest for Bamford, and perhaps to Local History and Places of Worship as a whole. Information last updated on 10 Dec 2018 at 09:27. Please also remember that whilst the above account may suggest that Our Lady of Sorrows remains open and accessible, this may not remain so. This Report was created 25 Mar 2019 - 03:23:22 GMT from information held in the Derbyshire section of the Places of Worship Database. This was last updated on 6 Feb 2019 at 15:49.